Coronary artery bypass graft surgery is one of several treatment options for congestive heart failure. This condition is also known as ischemic heart disease. Infection, or more commonly, blocked blood vessels can prevent the heart from getting enough oxygen so that it can efficiently pump blood to the other parts of the body. When this happens, blood backs up in the blood vessels and fluid is forced into the tissues causing the extremities to swell, one of the symptoms of congestive heart failure. Congestive heart failure treatment includes maintaining a healthy weight, eating a diet that his high in plants and lean protein as well as low in sodium, and exercising regularly. 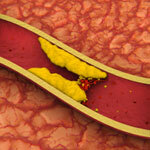 In cases where the blockage is not total, the treatment may include coronary angioplasty. In this procedure, a “balloon” is inserted into the blood vessel and inflated in order to allow normal blood flow. About one million Americans have this procedure each year. After angioplasty, a coronary stent may be placed in the blood vessel to force and hold it open. In the case of arteries that are totally blocked, coronary artery bypass graft surgery may be the best treatment. In coronary artery bypass graft surgery, a section of vein taken from another part of the body is grafted onto the blocked artery, bypassing the blockage. On the pro side of bypass surgery, the obvious advantage of this surgery is that normal blood flow is restored to the heart and the rest of the body. The patient’s quality of life will improve. Most people make a full recovery find their health greatly restored. Doctors usually recommend this surgery after other less invasive options have been tried. On the con side of bypass surgery, there are risks that must be considered. Traditionally, the chest is opened up to expose the heart and then the graft is performed. Coronary artery bypass graft surgery is major surgery and as such, carries a risk of bleeding, infection at the surgical site, fever, pain, anesthesia reaction, heart attack, stroke, and death. Not having the surgery certainly results in a diminished quality and length of life. Newer, non-traditional approaches use small cuts in the chest wall to graft the bypass. Overall, new techniques like robotic surgery have given us the benefits of bypass surgery while minimizing the risks.